Man City are reportedly eager to land the signature of Toulouse youngster Adil Taoui, as Pep Guardiola eyes another top young talent to bolster his squad. 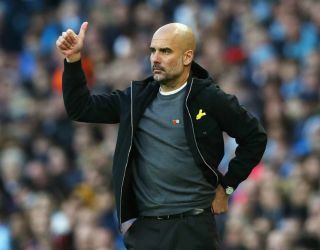 The reigning Premier League champions appear to be well set in that department for the more immediate future, with the Spanish tactician boasting an attack which includes the likes of Sergio Aguero, Gabriel Jesus, Leroy Sane and Raheem Sterling. With that in mind, perhaps the sensible strategy if new signings are being considered would be to focus on the long-term, and that is seemingly the case with Taoui who is still just 17 years of age. According to The Sun, via Foot Mercato, Man City and Tottenham are both tracking him, but they may have to spend up to £4.5m to prise him away from Toulouse. Although that isn’t a lot of money for either club, it’s still a questionable investment given that Taoui remains a gamble at this stage of his career having not yet proven himself at the highest level. Nevertheless, given it’s suggested that both City and Spurs are keen, he must be doing something right to have attracted their interest in the first place. Having also impressed on the international stage at youth level, perhaps he has done enough to suggest that he has a bright future ahead of him, and time will tell if either Man City or Tottenham have seen enough to launch a bid in January, as touted in the report. Given the options available to both Guardiola and Mauricio Pochettino in the attacking third though, it could be argued that the most sensible choice for Taoui at this stage of his career would be to stay where he is and to continue to play regularly and develop before an important move to England. However, a move to work under Guardiola will surely be a tempting offer and one that is difficult to turn down, should one officially arrive.